With the cost of energy steadily rising, chances are you are taking whatever steps possible to minimize costs. Your home’s heating and cooling system accounts for as much as 50 percent of your total energy costs, which is why it’s essential to ensure your HVAC system is efficient. 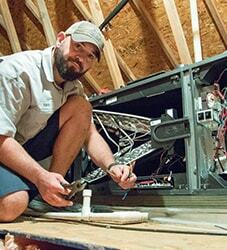 One of the best ways to increase an AC system’s efficiency is by scheduling or performing regular maintenance for the unit. According to the U.S. Department of Energy, investing in air filter replacement is considered one of the top priorities for AC maintenance, and one of the best ways to improve your HVAC system efficiency. 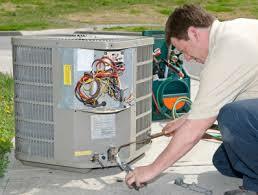 In fact, it can increase the efficiency of any HVAC system by 5 to 15 percent. When Is It Time to Change the Filter? 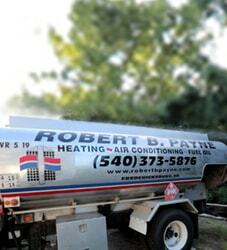 HVAC system maintenance can encompass a number of different tasks. This includes cleaning the coils, checking the moving components, and, of course, changing the filter. But do you really know how often this maintenance should be performed for optimum efficiency? With air filter replacement, the benefits far outweigh the costs. Just 5 minutes out of your day to replace your filter can save you money later on cold medication, allergy tabs, and yes, the energy bill too! In addition to increasing the efficiency of your HVAC system, maintaining it regularly (which includes filter replacement) will help to reduce wear and tear. This is because the unit will not have to work as hard. When the air filter is clean, air flows easily, minimizing the effort required. This regular maintenance and air filter replacement can also help to improve overall air quality, reducing issues with allergies, asthma, and other respiratory issues. There are four main types of filters you can choose for your HVAC system. Each has its own unique benefits and price point. The types of filters you can choose include: Fiberglass filters: This type of filter is by far the most common type of filter used by homeowners and business owners. Fiberglass filters are made of layered fiberglass with a metal grating that keeps the fiberglass in place. These filters are disposable and extremely affordable. Polyester filters: These filters are slightly thicker and more effective than fiberglass. A high-quality polyester filter may cost more initially but can last longer. HEPA filters: You have probably heard about HEPA filters, which means “high-efficiency particulate arrestance” (or air, depending on whom you ask). They are regulated by the U.S. Dept. of Energy, and are incredibly effective at filtering out even small particulate matter. Washable filters: These filters are made of high-quality, durable materials that can be cleaned and reused. Your HVAC technician will be able to recommend the right washable filter for your unit. 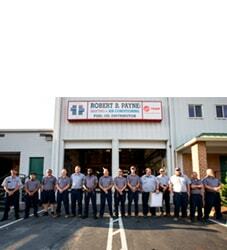 If you need more information about when air filter replacement is needed, contact Robert B. Payne, Inc. at (540) 373-5876 for more information.